The Easter egg made entirely of cheese is the brainchild of So Wrong It's Nom blogger Annem Hobson. Easter has long been synonymous with stuffing yourself with chocolate eggs and bunnies until you feel ill, but now a savoury alternative could be set to take the holiday by storm. The Cheester Egg is an easter egg for cheese-lovers which is made entirely of - you guessed it - cheese, and you could get your hands on it. So Wrong It's Nom's Annem Hobson has joined forces with award-winning artisnal cheese makers Wildes Cheese to make the festive eggs just in time for Easter. See how it's made in the video above. If you fancy getting your hands on the fromage, it's available from £14.95 at the So Wrong It's Nom website. Those of you who are feeling flush, or fancy gifting the Cheester to a loved one can even buy The Nest- a Cheester hamper which includes the Cheester Egg, 50g of handmade quince membrillo and a pack of Peter’s Yard Sourdough Crispbreads. 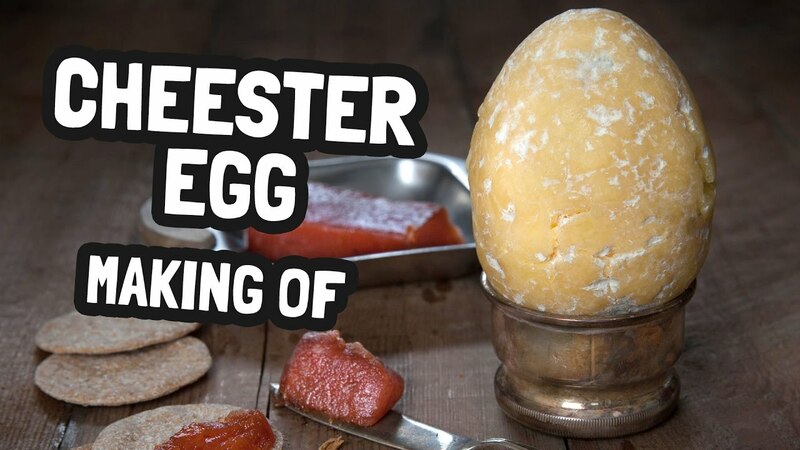 What do you reckon- is The Cheester Egg absolute genius or a step too far?